As working professionals, many of us have a trusty notebook that we carry with us to different meetings and events. If your notebook looks anything like mine, it’s just a series of pages, ordered by date, with lots of chicken scratch inside. Or if you’re still on the bullet journal bandwagon, maybe you have an organized index followed by some short bulleted lists. 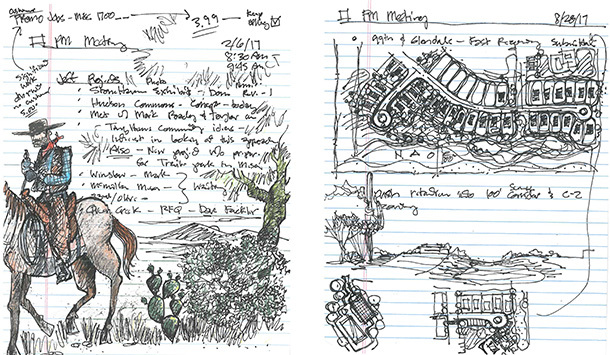 But take a peek inside Jeff Farr’s notebook, and you’ll see something very different. 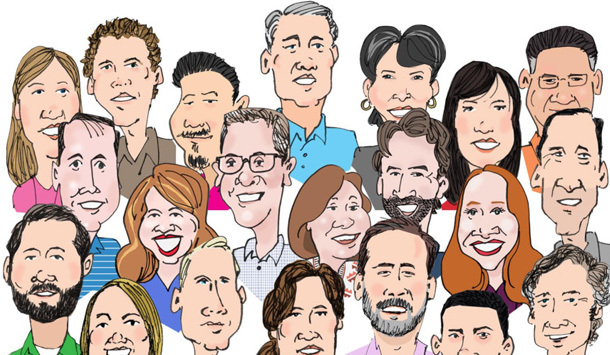 Jeff is a Project Manager and a very prolific and talented sketch artist. Rather than handwritten notes, Jeff’s notebook is peppered with all kinds of different sketches. “I sketch during meetings, but I am listening the whole time. It is my way of taking notes,” Jeff says. In project meetings, Jeff’s tendency to sketch often surprises clients and colleagues who may not be familiar with his process. 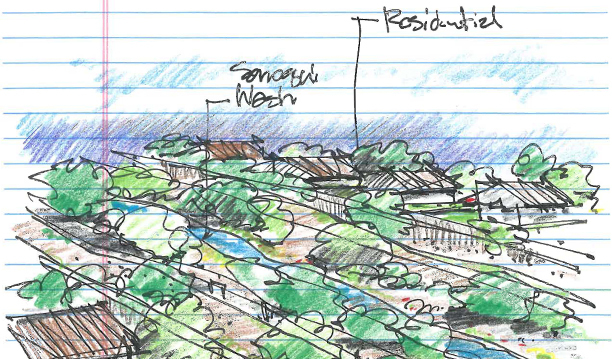 By the time the team finishes their discussion, Jeff often has a conceptual sketch that captures what was discussed. This allows the project team to see their ideas come to life right before their eyes. “I’m basically drawing what they’re envisioning during the meeting. It is a collaborative discussion, and by the end of it there is something to share that they are all vested in,” Jeff says. 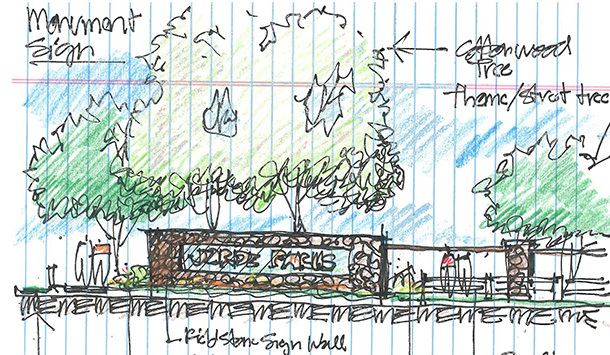 Jeff’s sketching skills also bring an increased level of transparency to the design process. In an age where most of us turn to our computers to render a design concept, Jeff brings a project to life in real time. “I’ve found that clients get very excited when they see this kind of result. It gives them a level of comfort with us, to be able to see our design process and to be part of it,” he says. Of course, Jeff’s notebook is also filled with many sketches that aren’t necessarily project related. From cowboys to caricatures, he captures them all. Check out a sampling of Jeff’s sketches below. Wow, what a talent, I can draw straight lines and curves just like I was taught in the world before cad, but this skill is amazing.